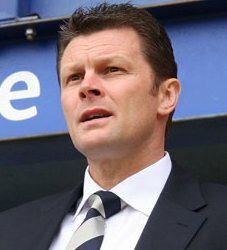 Cotterill was appointed as manager of Portsmouth on 18 June 2010, with the club enduring ongoing financial difficulties. Cotterill played a key role in stabilising Portsmouth through some turbulent times which saw the club nearly go bust. Cotterill had performed a highly creditable job whilst working within complete uncertainty almost every day. This drew many suitors during the close season. Cotterill stuck with Portsmouth with his second full season at the club, promising a great deal more than the first. With new owners and the club now stable on and off the pitch, everyone involved with Portsmouth was determined for the club to kick on. This was not to be the case, however. The team transpired to win just two of their first 10 league matches in the Championship to leave them 19th in the table. However, the Portsmouth fans still backed Cotterill as the man to take them forward in the long term and the joint owner of Portsmouth, Roman Dubov, also publicly backed him, insisting he was the right man for the club and that the club had no intention of replacing the man that took on a near impossible job at the start of last season. It later became public knowledge that Nottingham Forest were interested in hiring Cotterill as their new manager after Steve McClaren resigned from his post on 2 October 2011, following the club's poor start to the season and allegations of broken promises. 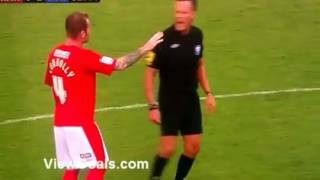 Cotterill was granted permission to speak with Nottingham Forest on 14 October 2011 after compensation was agreed with Portsmouth.